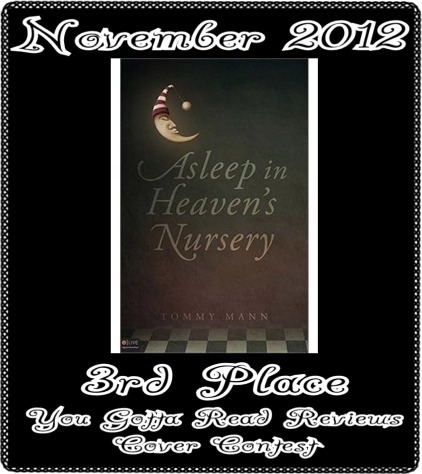 This past week Asleep in Heaven's Nursery came in 3rd place in You Gotta Read Reviews' book cover contest. Labels: Asleep in Heaven's Nursery, Who is God? Have you ever wondered why Charles Darwin wrote On the Origen of the Species? Did he really believe what he tried so hard to prove? And what drives others to so passionately uphold his theories? What does The Discovery Channel, for instance, have to gain by airing his propaganda? We can find the answers by studying Darwin’s writings. Tom DeRosa has done a wonderful job compiling excerpts from Darwin in his book Evolution’s Fatal Fruit, which I will use in this post. Darwin was once a seminary student, and there was a time when, according to his Autobiography, he was an “Orthodox Christian.” He was studying to give his life in defense of the Scriptures, so what accounted for the change in his life? There you have it. Darwin could not stand the thought of his father, brother, and best friends in hell, so he set out to disprove the whole lot of Christianity. He doesn’t exactly seem very sure of himself. This reads more like wishful thinking from someone with an agenda than it does a confident treatise of a sure scientist. Replacing the Creator with evolution does more than erase the first two chapters of Genesis; it launches an all out assault on the entirety of the Bible. If the opening pages are wrong, then how can we trust the pages that contain the death, burial, and resurrection of Jesus? Now a century later, millions of people have followed suit. People who do not want a Judge have simply dismissed Him. People who refuse to bow their knee in surrender to the Lord have done away with Him. People who want to live however they want without a God looking over their shoulder have denied Him. And all of this is possible because of Darwin’s theory. So Darwinism can be boiled down to this advertisement: Don’t want a God, Lord, or Judge? No problem; just deny the Creator. As we can see, this is a far cry from science. In fact, much of what Darwin wrote has since been disproved. The man that he said he agreed with and was influenced by has been a proven fraud. Darwinism is not science, for science must be observable and repeatable. No, Darwinism is philosophy and religion, but not science. If you choose to believe in Darwinism, do it realizing that you are embracing a religion that was crafted to do away with the notion of hell, not a science that was studied to answer the origin of species. The age of the earth is believed by most Christians to be approximately 6,000 years old; there are some who date the earth a little older, at an even 10,000 years. These dates come as a result of the biblical genealogies, which I also believe is supported by science. Darwinism, on the other hand, requires the earth to be much older than 6,000-10,000 years. Because the theory of evolution is mathematically impossible, its supporters need time to make it even remotely plausible. Therefore, Darwinists have manipulated science for over a century to conclude that the earth is billions of years old. When one considers things like the continental drift, erosion of the Grand Canyon and Niagara Falls, the amount of space dust on the moon, and the shrinking sun, there is no room for billions of years. When NASA was gearing up to land on the moon, they estimated space dust to collect at a rate of half an inch for every thousand years, and what they found was three inches of dust (indicating 6,000). The Grand Canyon and Niagara Falls erode every year, and our sun is wearing out. Billions of years ago a massive sun would have incinerated our planet, and the Canyon and Falls would have eroded away North America. These things didn’t happen because the earth is only 6,000 years old. Also consider the stars. 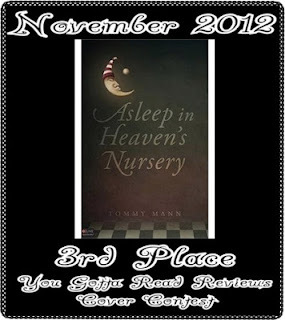 Stars are not reproduced; there is no mommy and daddy star who come home from the hospital with an 8lb. 6oz. bundle of light. Stars, which are balls of burning gas, are estimated to last for—wait for it—6,000-10,000 years. So next time you see a falling star, that is a 6,000-10,000 year old star that just burned out. Since there are no new stars, then an earth that is billions of years old (or even 11,000 years old) would not see any stars. So why do some Christians buy into the old earth theory? I believe peer pressure plays a part. Since most media is controlled by liberals, we are constantly hearing about the old earth. Whether on the Discovery Channel or in the classroom, you are made to look foolish if you do not accept an old earth. Scientists, who have no answers to prove their theory, accuse Christians of not understanding science. The case is closed. The theory is proven. And Christians have a choice to make: accept the science, or cling to their fairy tales. But the problem is that the case is not closed. Darwinism is so far fetched that no unbiased scientist would give it the time of day. Since they can’t win the debate on facts, they resort to name-calling. They moved the battleground from the laboratory to the middle school classroom and the Saturday morning cartoons, where children can be easily brainwashed. With public opinion against Creationism, some Christians looked for a compromise on the age of the earth. This led to the Day Age Theory and the Gap Theory. The Gap Theory believes in the Genesis creation account, but they believe that there was a gap—conveniently of several billion years—between God creating the heavens and earth and when He populated the earth. There is no biblical support for this whatsoever. The Day Age Theory also accepts Genesis, but with a twist. They believe that each day of creation represented a longer period of time. There are two easily spotted problems here. First, the Bible says “the evening and the morning” were the first day, second day, etc. To stretch “evening and morning” into anything more than 24 hours or fewer is poor hermeneutics. Also, note the order of these days (or ages): God created the plants on day 3 and the sun on day 4. Since plants rely on the sun to grow, these plants would have to go years without sun, which is impossible. These two theories are the result of compromise. Instead of believers holding fast to the Word of God, they abandoned the Bible to save face with science community. 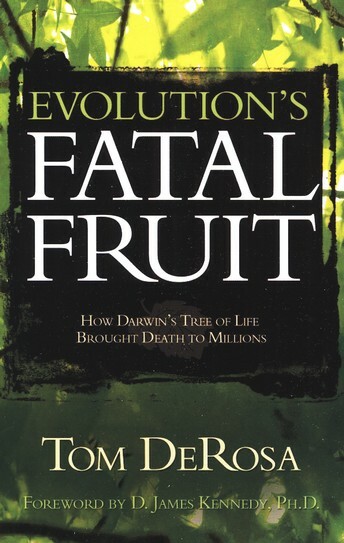 In Tom DeRosa’s book Evolution’s Fatal Fruit, he points out an embarrassing flaw in these theories. So Christians should not be able to accept these old earth theories. No matter how unpopular our faith might become, don’t back down. Jesus said that this world will hate us, so don’t be surprised when they rig the science to prove our Bible wrong. And even if some new discovery makes Creation seem false, remember that we serve a God far too big to be figured out by men. I often hear people say that we should not brainwash our children with the gospel. So many people believe that this amounts to indoctrination, which they say is harmful to children. I disagree. For one thing, everybody “brainwashes” their children, whether they realize it or not. The atheist, whether in words or actions, teaches his children there is no God; the Muslim teaches his children that there is no god but Allah, etc. Our upbringing helps shape our worldview. A person’s worldview can change over time, but what he is exposed to in his formative years will always be a part of who he becomes. Now consider this: when a Darwinist (or anyone who believes in evolution) says that a Creationist (or anyone who believes that God created the world) should not brainwash his children and blind them to science, he is actually being hypocritical. 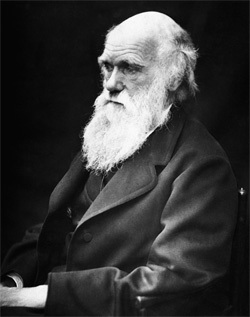 If anyone was brainwashed into a flawed way of thinking, it was Charles Darwin. Darwin’s paternal grandfather, Erasmus Darwin, was a popular thinker and scientist in his own right. Although he was deceased before Charles was ever born, Erasmus greatly influenced Charles’ life, and he was a direct influence for Charles’ book On the Origen of Species. Erasmus Darwin lived in a day when virtually everyone believed in the biblical account of Creation, but he was skeptical. His skepticism and observations led to his groundbreaking book Zoonomia, or the Laws of Organic Life, which was published in 1794. This work, which gained worldwide fame and was translated into several languages, was the first case for evolution ever written. Zoonomia classified different types of common diseases along with their prescribed ailments (Erasmus’ son—Charles’ father—would later become a doctor). Among the diseases that Erasmus listed: Superstitious Hope and Fear of Hell. Fast-forward six decades, and Erasmus’ grandson is writing a book that says almost the same thing. Charles wrote in his Autobiography that he was not influenced by Zoonomia, but this is hard to believe. Charles was studying for the ministry in seminary, and had written that he felt God’s call to defend the Scriptures. It is unlikely that his trip to the Galapagos Islands led to a quick 180 in his life, without the aid of Zoonomia. Consider that part of Charles Darwin’s life-changing discovery was the different types of beaks among the finches in Galapagos, and Erasmus had written something almost identical, noting that birds’ beaks vary by climate. In fact, On the Origen of Species covers almost every topic addressed in Zoonomia. So an elderly Charles had no problem admitting that it was being exposed to his grandfather’s theology at a young age that influenced him. That motivates me all the more to teach children the Bible from a young age. And it also bursts the bubble of the evolutionist that says that it is dangerous for a child to be brainwashed by Christians. Their precious founder was brainwashed by his grandfather. So teach your children the Bible. Why would you ground them in math, grammar, and the arts, but withhold from them that which can save their soul? This book is not at all what I expected, and that is not a bad thing. 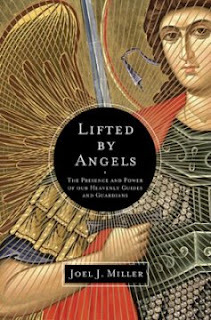 The subtitle of the books is “The Presence and Power of our Heavenly Guides and Guardians,” which led me to believe that the book would use the Bible to teach on angels. Going in, I thought I would be reading a handbook on the occurrences of angels in the Bible. Instead, Joel Miller admits that the Bible gives us little insight in regards to angels. The author does use some Bible verses, but his primary sources are early church writings and iconographers. If a person is looking for a good, thorough manual about what the church fathers thought about angels, than this is a good book. Drawing from the iconographers, Miller also includes several pictures, or “icons,” of angels carrying on their work. It is important to point out that when we are dealing with people, there is always room for error (compared to when we use Scripture alone). So some of the duties of angels as laid out by the ancients may not be accurate—such as when they are described as speaking to us through our thoughts, carrying our prayers to the throne of God, leaving our side if we are prideful, and personally escorting us to heaven when we die. There is no concrete Scriptural support given for these actions, so the reader must be cautioned in that regard. One area where I would disagree with Miller is over the Angel of the Lord. I believe the Angel in the Old Testament to be a reference to Christ, where Miller uses it to refer to angels, such as wrestling with Jacob. He also speaks often of the archangel Raphael as mentioned in the book Tobit, which is a deuterocanonical book in the Catholic Apocrypha, which was written almost 350 after the resurrection. All in all, I enjoyed this book for its historical merit. It is a wonderful collection of quotes and ideas from our early church fathers and historians.